Do you struggle to leave your dog at home alone? Are you becoming a captive in your own home because of your dog’s barking, howling or destructive behaviour that starts from the moment you are getting ready to go out without him? Are you neighbours unhappy at the noise coming from your home every time you go out? When a dog’s stress level begins to rise the moment that they realise their owner is going out without them, this is called Separation Anxiety. 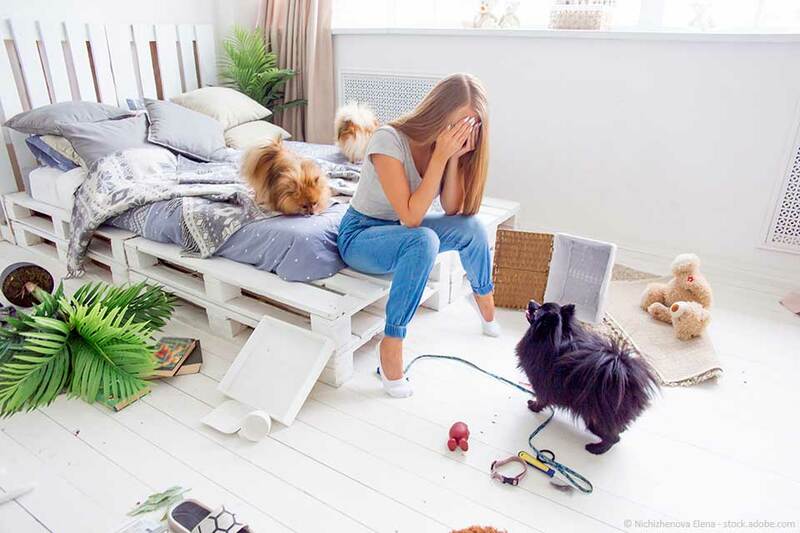 The destructive behaviours and barking are symptoms of this anxiety that can range from mild stress (some barking, chewing skirting boards, plaster, door frames, floor coverings) to extreme stress where a dog makes frantic attempts to escape the house to rejoin its owner. Separation anxiety should not be confused with Home-Alone Syndrome which is a symptom of boredom and builds over time (see our separate article on that). Separation Anxiety is a symptom of stress and not good for your dog’s health. It can be difficult to overcome and will require the help of a professional as well as the cooperation of neighbours whilst you put some measures and training into place to try to reduce your dog’s stress levels around being separated from you. Dogs who are recovering from illness. What can you do to help with Separation Anxiety? Dogs are social animals who live in groups and as the dog’s human family, you form his family group; his pack. In the dog’s mind, in order to be safe, the group must have good leadership. If you don’t act like a leader, your dog will step up and take over that role. Very often we, as owners, create the problem by allowing our dog to take the leadership role. By constantly responding to your dog’s demands for attention, walks, food, treats, play, and maybe even also allowing your dog to bark at anything passing the window, being the first at the front door when the doorbell rings, we give our dogs the impression that they are in control and that we will respond and follow. This in turns gives your dog the feeling that he is responsible for the safety of the family. Therefore, when you go out without him, he becomes stressed as he is not with you to keep you safe. We need to take that responsibility off your dog’s shoulders and show him that we are good leaders, we don’t need to be guarded 24/7, and we can go out of the house and return without any harm coming to us. How do we start to do this? We begin by watching for signs that our dog is showing attention-seeking behaviour. Does he nudge you for pats and strokes? Does he stand in your line of sight when you are trying to watch the television so that you get up and take him for a walk? Does he whine to go out and then change his mind when you open the door? Does he start barking whenever you give someone else attention, or talk on the telephone? This is attention-seeking behaviour that a leader would ignore. You also need to get your dog out of the habit of sitting on the back of the couch or watching out of the window as this can be guarding behaviour. Teach your dog not to rush to the front door when the doorbell rings. In fact, leaving him alone in another room whilst you enter the hallway and deal with the visitor is a good start towards another important step in dealing with separation anxiety – separating from your dog whilst you are in the house. Before you can begin to expect your dog to relax when left alone in an empty house, you will need to make sure he can be left alone in a different room for short periods of time whilst you are in the house. This is something that you can do every day, and gradually build up the time. If you can get to 30 minutes with no barking, whimpering or scratching, then you are well on the way to teaching your dog that it is okay to separate from you whilst you leave the house. You can also introduce an interactive toy such as the GameChanger® toy, or a stuffed Kong® to occupy him whilst he is alone. Another advantage to adding in the interactive treats at this time is that they can alter your dog’s association with being left alone into a more-pleasant experience. Another important step would be to make sure that your dog does not sleep in your bedroom. By giving the dog a separate place to sleep, you are reinforcing the idea that it is safe to be separated from you. If your dog is used to sleeping on your bed or sleeping in your bedroom, then gradually start to move him out of the room over a number of days or weeks. It’s better to do it gradually than instantly. If you are leaving your dog alone in the house, reducing the space he has access to will reduce his stress levels as he is not responsible for guarding the whole house. Gradually cut his space down, again over days or weeks. By leaving him in a smaller space at the back of the house, you are removing him from guarding duties at the front of the house. You could even try to train your dog to lie in an open, covered crate as this will give him a small space to relax and somewhere to call his own. However, crates need to be introduced very carefully, especially with dogs who suffer from Separation Anxiety, as dogs who are stressed and panicked can injure themselves in their desperation to escape. Leave your dog with an interactive reward toy in his crate. Leave the radio on at low volume and tuned to a channel like BBC Radio 4 which features calm voices rather than lots of music, as this can muffle outside sounds that may stress your dog. Close the blinds in the room where your dog will be left so that there is little to visually excite him. Our Bark Buster trainers are available to help you with your dog’s Separation Anxiety issues. We will always try to minimise the stress upon dogs during the training process, and we know that, by teaching you, the owners, how to show kind, confident leadership, your dog will become more relaxed both whilst you are in the house and whilst you are out. Bark Busters therapists have trained more than 1 Million dogs worldwide and are renowned authorities in addressing dog behaviour with all-natural, dog-friendly methods. The Bark Busters training is the only service of its kind that offers International guaranteed lifetime support. With hundreds of trainers around the world, Bark Busters continues its mission to enhance the human/canine relationship and to reduce the possibility of maltreatment, abandonment and euthanasia. Contact your local Bark Busters therapist to see how they can help. This article is the copyright of Bark Busters® and is intended for information purposes only. 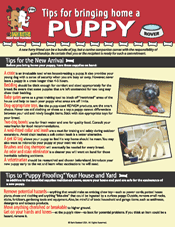 Dog owners should fully research any problems that they may have with their dogs.